"I’m just a woman who wanted to do this for other women," Dedra Moon said. camera (Courtesy Dedra Moon ) Dedra Moon made it her mission to help distribute Valentine's Day chocolates to survivors of domestic violence in her community. 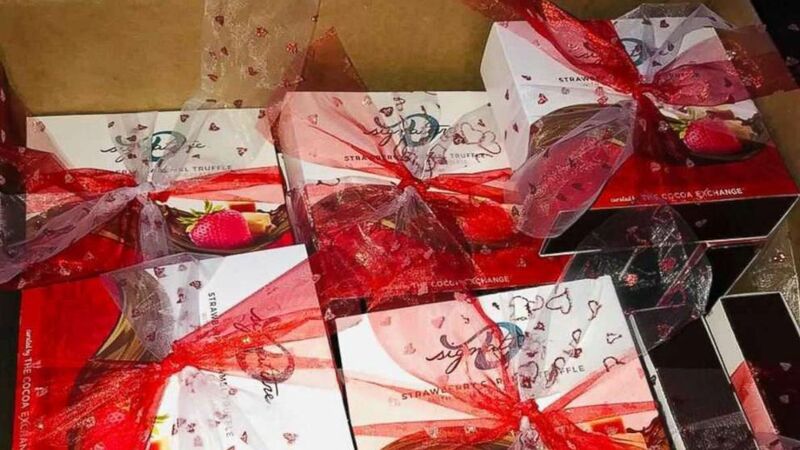 A Virginia mom helped distribute hundreds of Valentine's Day chocolates to victims of domestic violence in her community this year as a way of "spreading healthy love" and reminding survivors that they are not alone. "It hit me that Valentine's Day is coming up and people who are coming out of a domestic violence situation may not have a valentine this year," Deedra Moon, of Virginia Beach, told "Good Morning America," adding that she then took it upon herself to "be a Valentine" for these women. "My original goal was 20, and I met that in like 10 minutes, and my friend said to me, 'Dedra you can do more,'" she said. "So I said lets up it to 100." (Dedra Moon) Dedra Moon made it her mission to help distribute Valentine's Day chocolates to survivors of domestic violence in her community. With the help of her community and crowdfunding, she went on to create 238 "boxes of love" -- aka chocolate -- that were distributed to shelters for women who have survived domestic violence situations. "I know that a box of chocolates is not going to change the world," Moon said. Still, she hopes that it is a small step toward "spreading healthy love" and letting women know that somebody cares. Moon’s project comes at a time when more than 10 million women and men are physically abused by an intimate partner in the U.S. per year, according to statistics from the National Coalition Against Domestic Violence. Moon said they were not able to go to the shelters themselves because of privacy reasons for the women, but gave the chocolates to shelter workers who will distribute them Thursday. Reaction from workers at the shelters were "so very appreciative." "There is a lot of shame with this population, and the fact that I wanted to be their valentine, it blew the organizers away," Moon said. "They said that nobody has ever done that before." 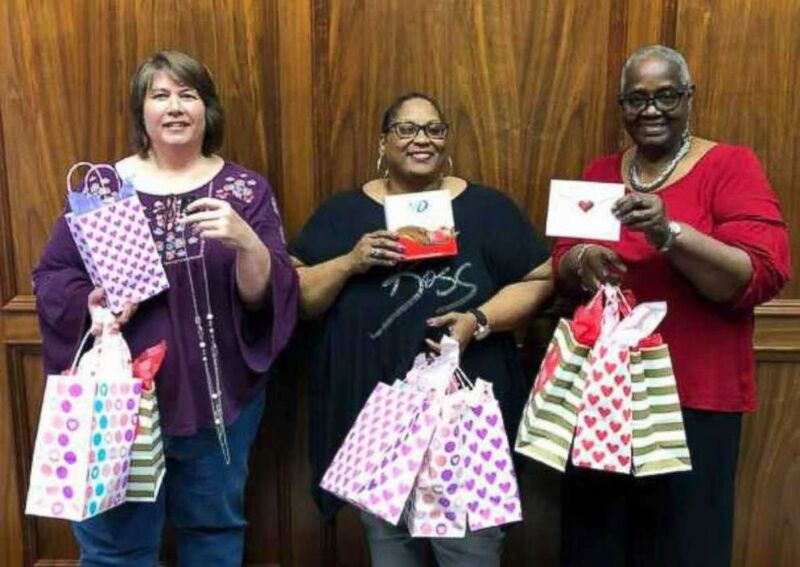 (Dedra Moon) Dedra Moon partnered with volunteers at the Family Services of SETX Women's and Children's Shelter to help distribute Valentine's chocolates to survivors of domestic violence. 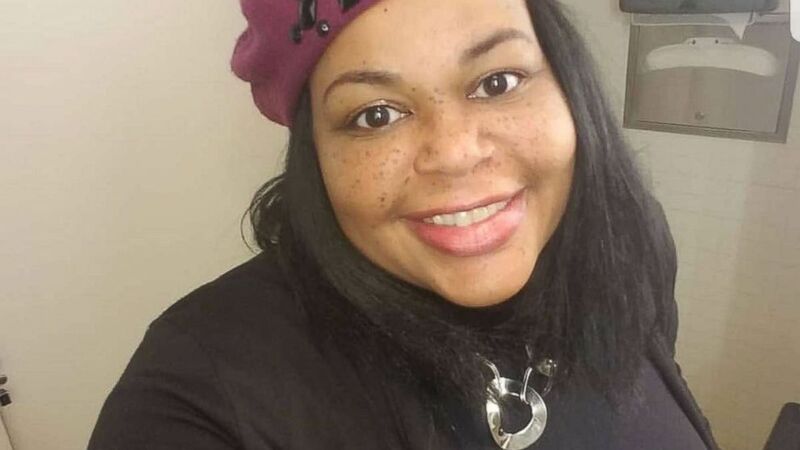 Neisha Himes, who told "GMA" she is a domestic violence survivor herself, as well as the founder of the nonprofit group the GROW Foundation, was one of the liaisons who helped distribute the chocolates directly to survivors. Himes said one survivor she gave chocolates to Wednesday night broke down in tears when she received the valentine's gift. As a survivor herself, Himes said this project is important because, "I think a lot of them have forgotten what it's like to be appreciated." I think a lot of them have forgotten what it's like to be appreciated. "It's more than just getting chocolate," Himes added. "When you’re in that situation you feel very alone, and in the mindset that nobody cares about you, not even yourself really, and to know that somebody else cares, just a stranger, it gives hope." "And once you have that then anything else is possible," she said. (Dedra Moon) Dedra Moon partnered with volunteers at the Samaritan House shelter to help distribute Valentine's chocolates to survivors of domestic violence. Moon said it was important for her to spread joy for these women on Valentine’s Day. "I felt like this particular population may not have experienced joy in a while," she said, even if it's just in the form of "some great chocolates." I’m just a woman who wanted to do this for other women. Moon said she hopes her work inspires others to give back too, saying: "I’m just a woman who wanted to do this for other women." 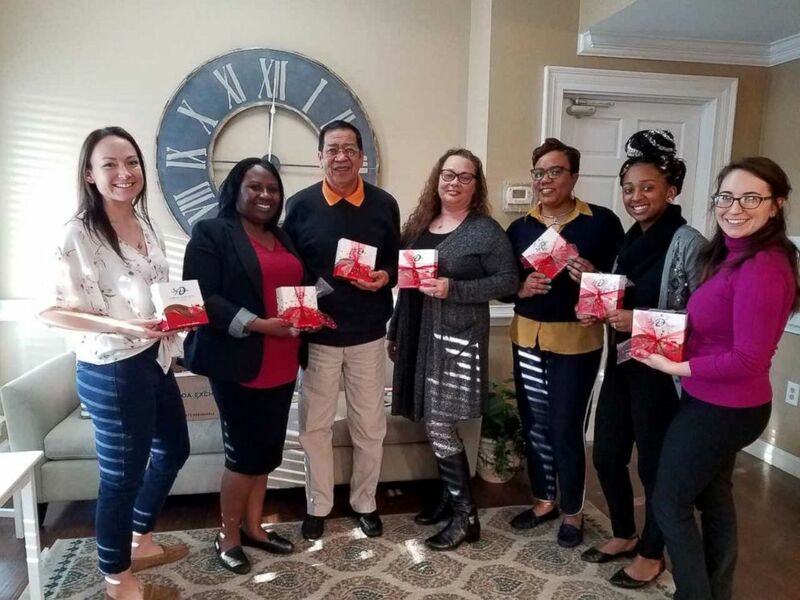 (Courtesy Dedra Moon ) Dedra Moon made it her mission to help distribute Valentine's Day chocolates to survivors of domestic violence in her community. 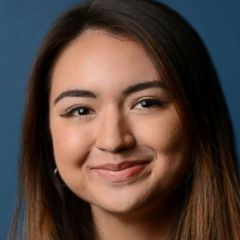 "I'm just a wife and a mom, but if I could get people to rally around this idea and take action, maybe we can change the narrative, and get someone who has way more resources than I do to make a change in their community," she said. "Can you imagine if we had someone in every state who was giving a valentine to 100 women in their community, all the love we’d be spreading?" she added. "It just blows me away." 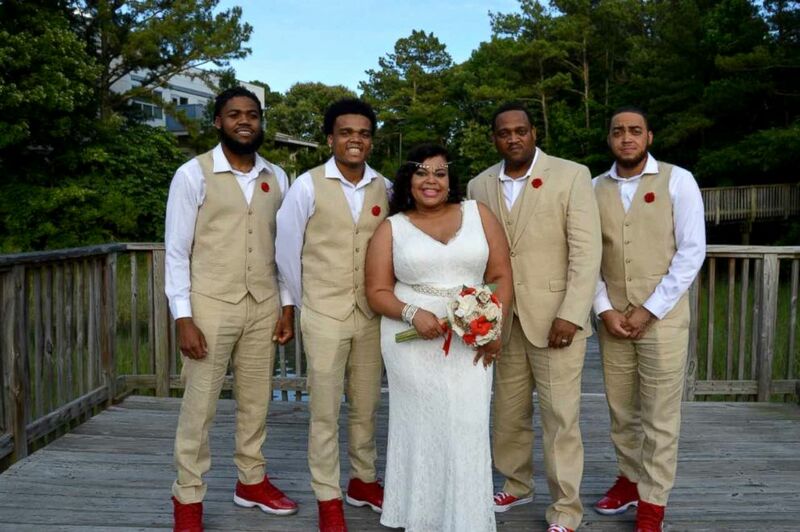 (Dedra Moon) Dedra Moon is photographed here with her family for her wedding vows renewal ceremony.